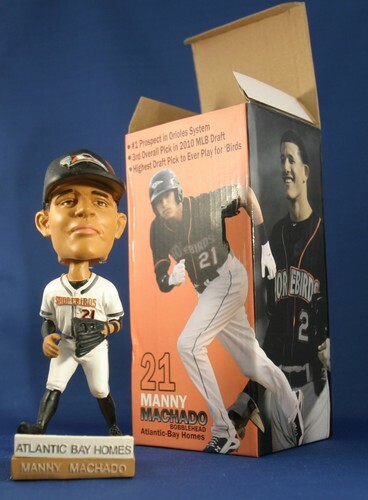 Manny Machado bobblehead with box, Shorebirds, 2011. Only out of the box to take the picture! Obtained at the game on July 1, 2011. Manny Machado was selected by the Orioles in the 2010 draft. He played with the Delmarva Shorebirds in 2011. He joined the Orioles in the 2012 season where he is currently plays at 3rd base and shortstop.